Copyright ©2013 Arlene R. Weiss/PopEntertainment.com. All rights reserved. Posted: August 24, 2013. 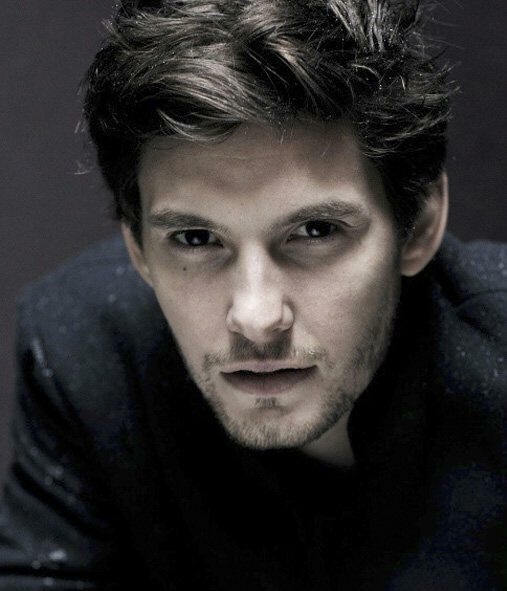 British actor Ben Barnes is most well known for his work so indelibly and wonderfully portraying the dashing, heroic Caspian X in the second and third films in the beloved, blockbuster The Chronicles Of Narnia film franchise. Barnes’ first foray in the role was playing the young Prince Caspian, in 2008’s The Chronicles Of Narnia: Prince Caspian. He then returned to reprise the role as the mature and wise King Caspian, in 2010’s The Chronicles Of Narnia: The Voyage Of The Dawn Treader. Barnes is also a multi-faceted actor of immense emotional depth and range who has immersed himself in a diversity of roles and genres encompassing drama, comedies, and musicals on both stage and screen. His esteemed film canon includes working with such prestigious, indie art house directors as Nick Hamm in the biopic comedy musical 2011’s Killing Bono, and Brian Klugman and Lee Sternthal in 2012’s heart wrenching drama The Words. The gifted Barnes began his career in London’s prestigious National Youth Music Theater honing his acting and musical talents for several years. He then enjoyed a successful run as a singer and member of the British pop boy band Hyrise. Barnes went on to garner raves on the London West End Theater stage for portraying Stuart Dakin in the acclaimed The History Boys where Narnia’s casting director noticed and auditioned him. Narnia Director Andrew Adamson cast Barnes as Caspian and from there, Ben’s career took off. On a late August day, a month after his wonderfully received guest appearance at San Diego Comic-Con International 2013, Ben graciously talked with me about his two new upcoming films. Ben stars in the supernatural sword and sorcery film, Seventh Son co-starring Jeff Bridges, and he also plays the lead role in the Boston set mafia crime thriller God Only Knows. Ben also expounds about Narnia, the craft of acting, and how he would love to work with Star Trek and Star Wars VII Director J.J. Abrams. Hi Ben, how are you. I want to congratulate you on the upcoming release of Seventh Son. I saw the trailer and also filmed footage of the panel that you and the cast held at San Diego Comic-Con International 2013 and it looks amazing! For folks who haven’t yet seen the footage, what can you tell people about the film’s storyline and especially about your character Tom Ward, and his relationship to Jeff Bridges’ character Master John Gregory? Thank you. Seventh Son is a story about a grizzly Spook or fighter of witches and the dark side, played by Jeff Bridges. I am apprenticed to him early in the film and he must train me to aid him in defeating the evil Mother Malkin played by Julianne Moore, and her gathering horde. As we train and take on warlocks and boggarts, our relationship develops from mistrustful and antagonistic into a strong bond. How did you become involved with the project? How did you first come to the attention of director Sergei Bodrov and how did he approach you for the title role of hero Tom Ward? What’s it like working with Sergei? I was originally not seen for the role on account of being unavailable and too old, but eventually the film pushed its dates and Sergei met with me and I loved his vision for the stories. After that I auditioned with actress Alicia Vikander but was nervous and didn't do a great job. Sergei saw something in me however, as he gave me another opportunity on my own and then after the traditional agonizing wait, I was offered the job. The film is based on The Spook’s Apprentice, the first book in the series of books The Wardstone Chronicles by Joseph Delaney. Have you read the books to gain a better understanding of the role, and how did you prepare for and immerse yourself in the character? I have read about six of the series. The books are terrific and creepy stories about a young boy struggling to be something important and to make good decisions, set in the north of England in a fantasy setting. The world of the film feels more visually international and vast with villains and witches from distant lands, and my character has been aged up to make more of the action and romance which is more subtle in the stories but perhaps not as cinematic. The studio and director are not pretending to faithfully film the novels. As wonderful as the books are, the intention is to make something new and hopefully exciting inspired by the situations and characters in the books. The film is a phenomenal mash-up of genres, sword and sorcery, fantasy, the supernatural. Are you a fan of those genres and how exciting is it to be playing a heroic character saving the world from ghosts and witches? I love fantasy films for exactly that reason of the absolute escapism. With this film though there is an opportunity to explore themes of morality and the darkness inside all of us underneath the more obvious battle of good versus evil. There’s some incredible CGI in the film. What are your experiences working in green screen, interacting with imaginary creatures, backdrops, and places that you have to stay in character to relate to? What steps do you take, how do you stay in character, for what both you and audiences won't see until the completed film, (which you also did for your role in the two Chronicles Of Narnia films)? Green screen can always be tricky as there is very little to react to, but I am fortunate to have had considerate crews who do everything to make the situations as realistic as possible with actors in suits, Assistant Directors with megaphones screaming instructions, and beautiful landscapes as backdrops! What was the training like for your sword fights? Did you do your own stunts? I always attempt my own stunts if at all possible but my wonderful duke, [stunt performer] Jeff Robinson did a few dangerous, bordering on stupid, falls on my behalf and I am very glad that he did! I trained hard for the staff fights as that was a new skill for me. I had an easier time with the sword as I had had more extensive training with that weapon on the Narnia films. For Seventh Son I was dunked in water tanks, thrown in freezing rivers, hung upside down by my ankles, pulled off cliff faces and knocked down by Jeff more times than I can remember... Maybe that's WHY I can't remember! You also have the starring role in the upcoming crime thriller, God Only Knows starring alongside Harvey Keitel and Toby Jones. It sounds really exciting, sort of The Departed meets The Godfather! What can you tell me about the storyline and your character, Nick Tortano? After playing period piece heroes what’s it like playing a modern day, ruthless mafia gangster and such a dark, gritty role, and how did you prepare for and immerse yourself in playing such a questionable character? I am so proud of this film. It’s not complete yet, it is being edited as we speak but the role was such a departure for me and the gritty underworld of Boston so compelling and intriguing to me. I immersed myself in it with incredible access to the people of Boston's north end and the drama flowed from that. The story follows Nick, a young Boston Italian, trying to find purpose in the ideology of the mafia and finding his world turned upside down. How did you get the role of Caspian? Your role as young Dunstan Thorn in the 2007 film Stardust seemed like a precursor to The Chronicles Of Narnia. You also were playing Stuart Dakin in the Royal National Theater production of the acclaimed The History Boys at the time. Did Director Andrew Adamson first learn about you from your work in that? The casting director saw me playing Dakin in the West End and auditioned me for Caspian. I then did a screen test for Andrew and the producers and was offered the job after an agonizing wait... sound familiar!? The Chronicles Of Narnia films, much like the Star Wars or The Lord Of The Rings films have taken on a life of their own among fans all over the world, and in the public consciousness. If the two other novels that feature Caspian in The Chronicles Of Narnia novel series, The Silver Chair and The Last Battle, are also made into films, would you consider returning to reprise your role as Caspian? I would do it of course but I think Caspian is only briefly in the Silver Chair as an old man and in The Last Battle too, so I think they would be cameos at best. You are so gifted at creating unforgettable and beloved characters in so many films….dramas, comedies, musicals, and especially in epic fantasy and sword and sorcery storytelling films, and genres. I would love to see you cast in the new Star Wars film trilogy and Star Wars VII. You would be perfect as a swashbuckling space hero! Hopefully George Lucas and Director J.J. Abrams will see this! How would you feel about being offered a role in Star Wars VII if you got the call from George or J.J.? I do love variety. I am a fan of gritty drama and comedy and musicals so it's natural that I should harbor ambitions in all those areas to push myself as a performer. I would love to work with J.J. Abrams. I met him once and he couldn't have been kinder and he is obviously a naturally gifted story teller. How did the blockbuster success of The Chronicles Of Narnia films affect your career? Have you found yourself on the shortlist of more challenging films, directors, and roles? You’ve had roles in some amazing independent and art house films of emotional depth, portraying especially well drawn characters, such as 2009’s Dorian Gray, 2011’s Killing Bono, and 2012’s The Words, how did those experiences evolve and shape you as an actor? All the jobs I have done have stayed with me and added to my skill-set and to my personal character. Working with all the great actors I've been fortunate to meet has also affected me hugely. It's fascinating to watch the different approaches of Bridges and De Niro or Robin Williams, (Ben starred with Robert De Niro and Robin Williams in the 2013 romantic comedy The Big Wedding) or Colin Firth (Colin was Ben's co-star in 2008's Easy Virtue and 2009's Dorian Gray). Your emotionally complex role as the young intense author in The Words is wonderful. And I am still absolutely blown away by your mesmerizing, charismatic performance as real life musician Neil McCormick in Killing Bono, my favorite role and film of yours. 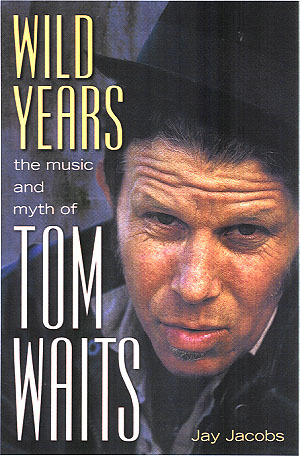 It’s such an affectionate portrait and paean to the spirit of rock and roll and especially to pursuing one's dreams. You're just wonderful at portraying the film's most ironically comedic and dramatically poignant moments. You also did all your own singing and live performances which are also featured on the film’s soundtrack. How did you get the role as Neil in Killing Bono? I read the script in my trailer in full armor on the set of The Chronicles Of Narnia 3, The Voyage of The Dawn Treader. I was pretending my prop sword was a guitar and speaking loudly in an Irish accent for hours and having a brilliant time on my own. I knew by page ten, I HAD to play Neil. They should have released "Where We Wanna Be," what a killer song and you’re on fire belting that out! They almost did... They even made a video cut from film moments and I was up for performing some of the songs in character like my Spinal Tap heroes but it never happened. Your career started out in acting, and in music, as you are also a gifted singer and musician. First you were in the prestigious National Youth Music Theater doing musical theater in London’s West End, and then you were a member of the acclaimed band Hyrise. What first inspired you to want to become a singer, a musician, and an actor? It was mostly the National Youth Music Theater. It's a wonderful company that searches for talented eleven to nineteen year olds and rehearses them like professionals for new musical theatre, and the results over the years have been inspiring. I consider my years with that company and my five productions across the country with them to be my training as a stage actor. My first audition in the U.S. was to play a lifeguard in a movie which never got made. The breakdown called for buff, tanned types, neither of which I was or am, but I broke down in tears in the audition as I was being eaten by a shark! They obviously liked it because I was offered the job... after an agonizing wait! What kind of acting roles and films would you most like to do, and what directors are on your wish list to work with, to evolve and stretch in your craft? I find it impossible to be pragmatic in this industry as you never know which scripts will capture your imagination, which directors will find you interesting, or which roles you feel you can inhabit until you come across them. I have enjoyed the work of Darren Aronofsky, David Fincher, Gavin O'Connor, and Derek Cianfrance over the last few years though. You received much acclaim for starring in London’s 2010 West End Theater production of Birdsong. How artistically fulfilling and challenging was that experience, as well as doing theater again, and do you have plans to do more theater? Birdsong was an extremely fulfilling experience. It was one of my favorite novels so it was very special to originate the role of Stephen Wraysford. The novel was certainly a challenge to stage but some of the reactions of the audience members to the play were extremely moving. Telling that story eight times a week for five months was exhilarating and exhausting in the best and most cathartic way. I would love to do more stage work but because of the time commitment it just has to be something I truly believe in. 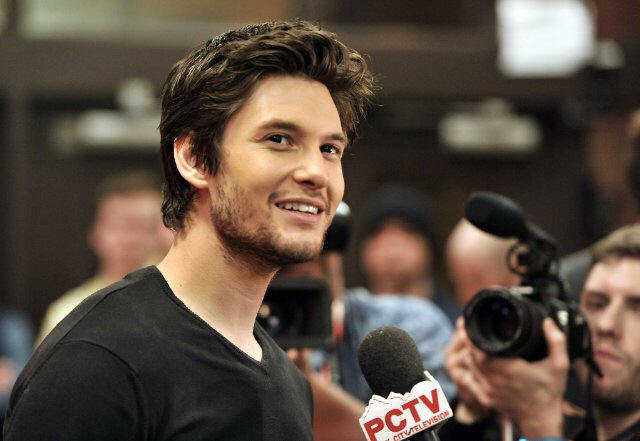 CLICK HERE TO SEE WHAT BEN BARNES HAD TO SAY TO US IN 2008! #1 © 2013 Debra Hurford Brown/Camera Press. Courtesy of Luber Roklin Entertainment. All rights reserved. #2 © 2013 Kevin Winter/Getty Images. Courtesy of Luber Roklin Entertainment. All rights reserved. #3 © 2013 George Pimentel/Getty Images. Courtesy of Luber Roklin Entertainment. All rights reserved. Copyright ©2013 PopEntertainment.com. All rights reserved. Posted: August 24, 2013.